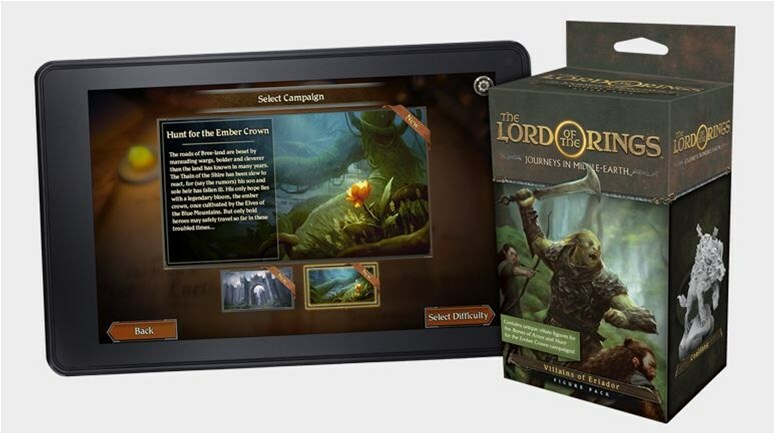 Many of Fantasy Flight's games are accentuated with an app that enhances your gaming experience. One nice thing about doing that is Fantasy Flight can then release new adventures as downloads for said app. Though they're going a step further with the Hunt for the Ember Crown adventure for Journeys in Middle-earth, as they've also got a Villains of Eriador Figure Pack that you can get to go along with it.